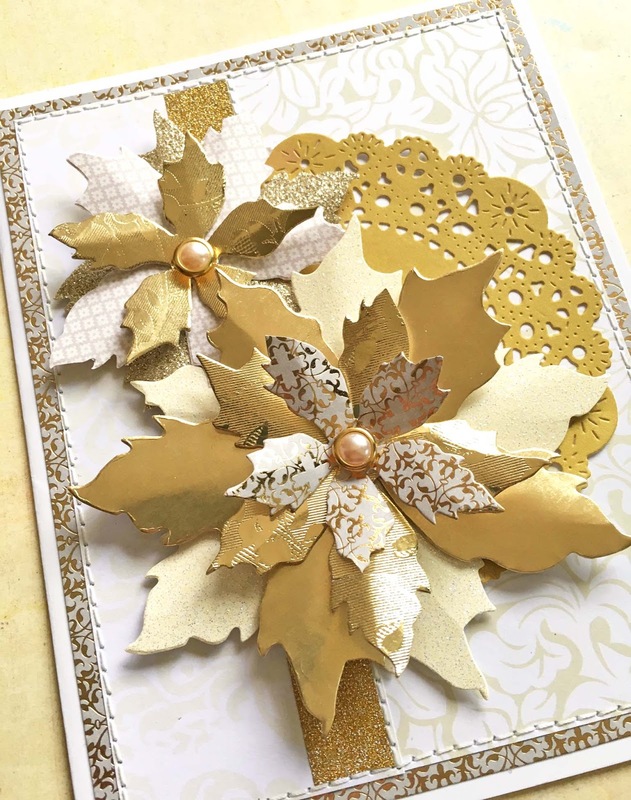 Our final prompt for 2017 at Jingle Belles we're featuring all of those precious metals ... making a card that focuses on metallics - GOLD, SILVER, COPPER or any other Metal you might have in your stash. Stephanie says, "My card features an almost-discarded piece of inky paper (see the before picture on my blog) that was transformed with silver glitter paste and a polka dot stencil together with Silver Metallic Shelf Paper that I found at the hardware store (always keep your eyes peeled for potential crafting supplies). It's so easy to work with, and it really SHINES." 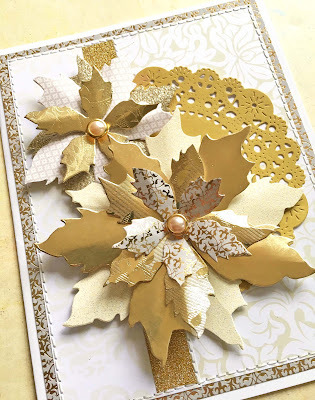 Lauren says, "I've gone for the gold this week; or rather the golds, plural, since there are five different metallics on my card! A fact I was very excited about, until I tried to get a decent photograph. So please excuse the funky angle of my pic, but honestly, life's too short you guys! My card combines glossy metallic patterned paper, storebought glitter cardstock, some awesome Eyelet Outlet Glitter Tape and even a couple of gold on gold giftwraps that I saved from last year's presents; because there's no such thing as too much sparkle on holiday cards, am I right?!" Link your creations here by Wednesday, December 6th at 6pm (EST). Codeword for galleries and Flickr is JB:17:24. 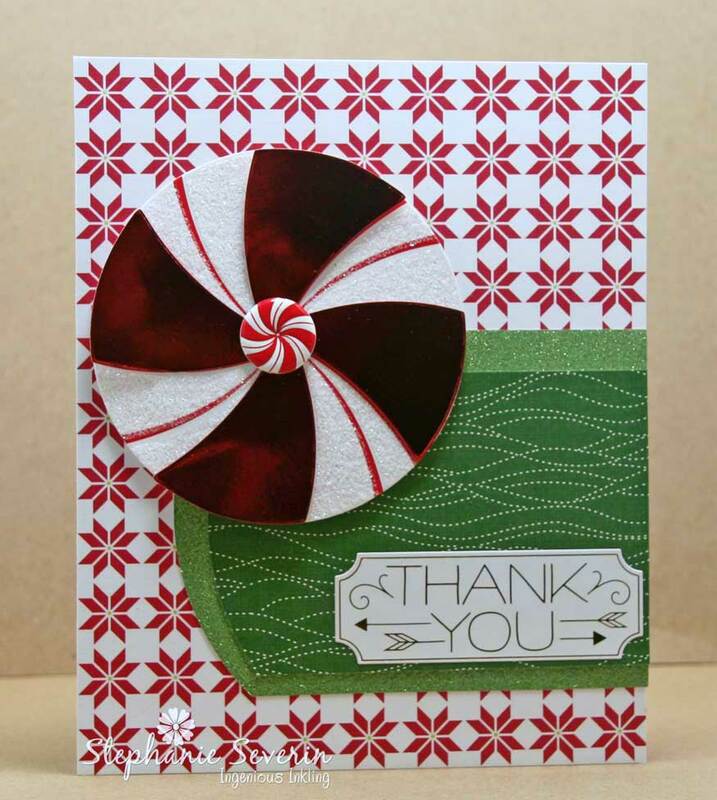 ...created an amazingly lovely, perfectly seasonal thank you that is also a master class in diecutting technique! 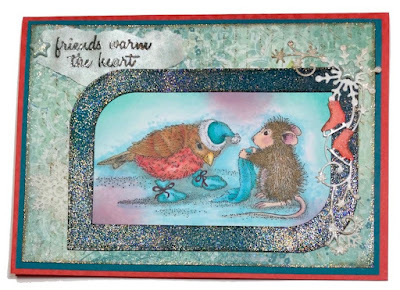 ...employed the ever-adorable House Mouse and his friend, to teach us all a thing or two about friendship; not to mention stamping and coloring! ...despite being one of the most positive people we know, turns out to be an expert in negative space, as this beautifully graphic CAS card proves! We're still working on those holiday thank you cards, while we dream about the upcoming Thanksgiving meal, and feel tremendously grateful to be close to wrapping up another wonderful year of card-making with so many talented friends! 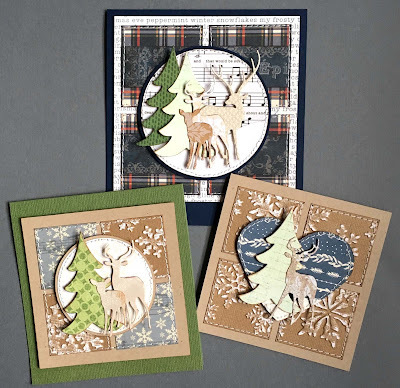 Lauren says, "I've used the same strategy as last week-- creating a somewhat neutral design with no sentiment added yet, which could be used as an emergency Xmas card before the holiday, if necessary! 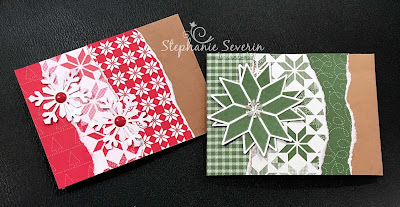 I make at least a few of these washi tape quilt cards every year (a tutorial for which is in this post from 2011!!!) because they're so easy and fun to make! 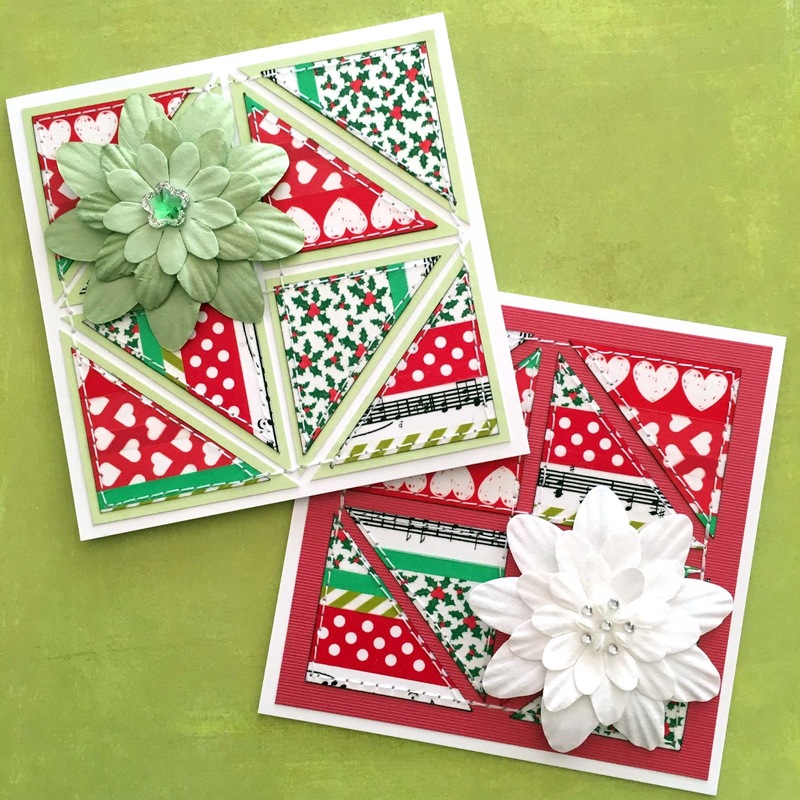 This time I've used a whole bunch of my favorite red and green Eyelet Outlet tapes, plus paper flowers and bling; but i've kept them fairly flat to be postal-friendly!" Stephanie says, "This week Lauren and I were discussing ideas for being creative when your mojo has abandoned you. She suggested I go back through some of my previous projects and re-create one. I decided instead of go through her posts and look for inspiration. I only had to go as far as her snowflake cards from last week. I used monochromatic designer papers, torn edges, and simple winter accents to create cards that could be thank yous ... or last minute holiday cards (why do I never think to tear my edges). 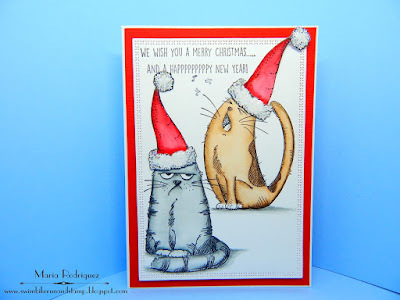 I had to smile when I posted my cards and saw we both used the same color palette this week ... yea for traditional holiday hues (close-ups of each card are on my blog)." 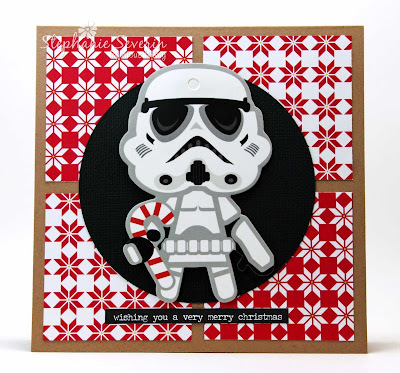 Scroll down to last week's post to link up your own cards! 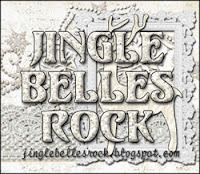 With just two more official prompts left, we're getting close to the end of our ♥JINGLE BELLES♥ year. So this is a great time to take stock of how many cards you've completed, go back and add sentiments inside the cards if you haven't already, make sure they all have envelopes, etc. Being as we're coming up on Thanksgiving here in the US, it's also a good time to think about the cards we're all going to need after the holiday... so this fortnight we're making thank you cards! 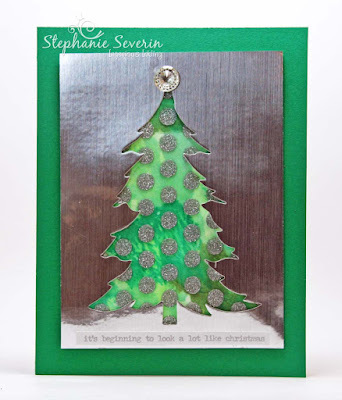 Stephanie says, "I spent the day looking for a stamp set I misplaced (never did find it), but I did find a set of glittery holiday tags & some Thank You stickers that I'd forgotten I had ... and they were both perfect for this week's card. I added a Peppermint Candy brad from Eyelet Outlet and used this week's Sketch Saturday layout. 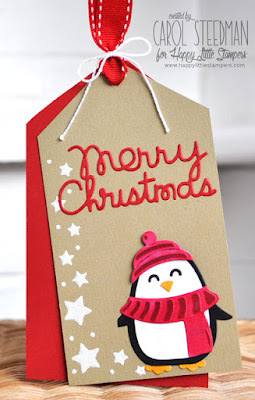 I created a second tag card on my blog." Lauren says, "Shocking true confession: There's never been a year in which I didn't need at least one or two extra cards at the very last minute; usually because someone I wasn't expecting kindly sent me a beautiful handmade card! On the other hand, I'm not a cardmaker who always likes to put a sentiment on the outside. By now I think you may have guessed what I am getting at here, right? 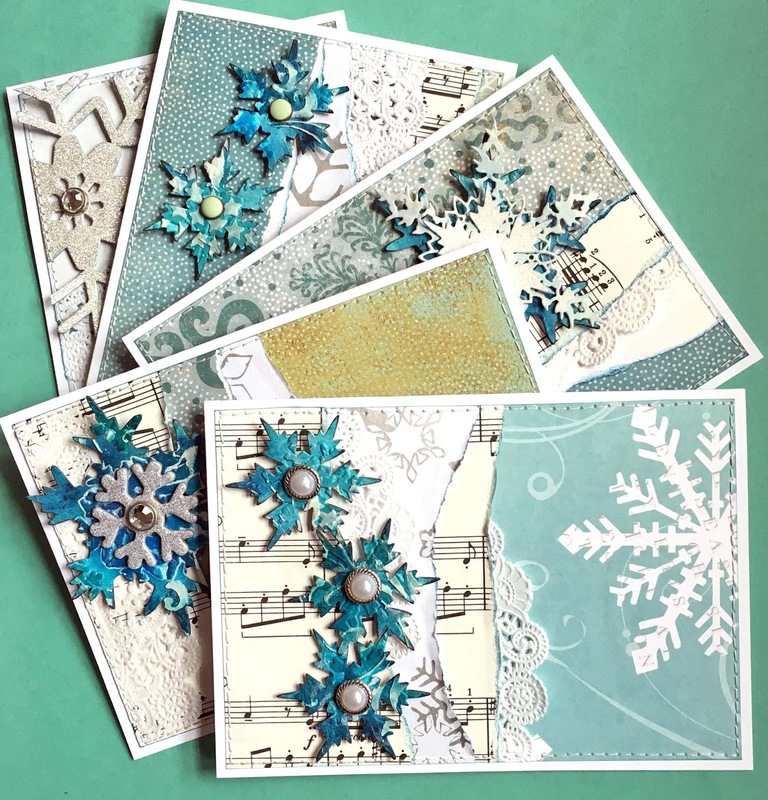 The cards you see above are the right tone to be thank you notes. 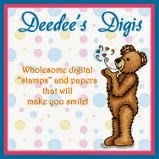 They will almost certainly be thank you notes. But I haven't put a sentiment on the outside or the inside yet... just in case I need a couple more holiday cards at the last minute. It's called "hedging your bets" lol, and you are welcome to join me in this strategy this fortnight!" Link your creations here by Wednesday, November 22nd at 6pm (EST). Codeword for galleries and Flickr is JB:17:23. Wowza ... the gallery is filled with fun and fabulous creatures. It was hard to narrow it down, but here are a few of our favorites. shared a fabulous Christmas Unicorn ... see the bit of holly on his tail, the present in his pack, and his adorable Santa Hat ... love the beautiful pinks too. love his scarf & hat. singing Christmas Carols loud & proud ... that expression is priceless. We're back for the second week of our annual holiday creature feature ... the gallery is filled with all sorts of awesome animals, creatures & critters. Lauren says, "I am somewhat famous for hating to mass-produce, but there is no denying the efficiency of making more than one variation of the same design. And as long as I can change up the details so that each card is a bit different, I don't mind too much, lol. 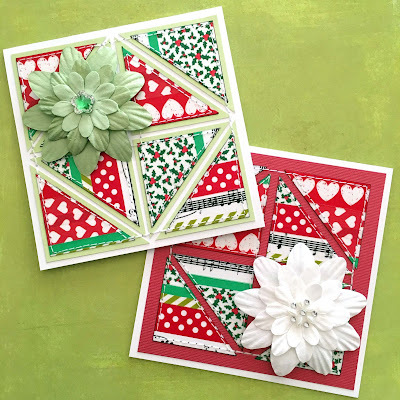 In this case, I used up loads of little scraps, offcuts and leftovers, thanks to the rather brilliant current Sketch Saturday layout!" 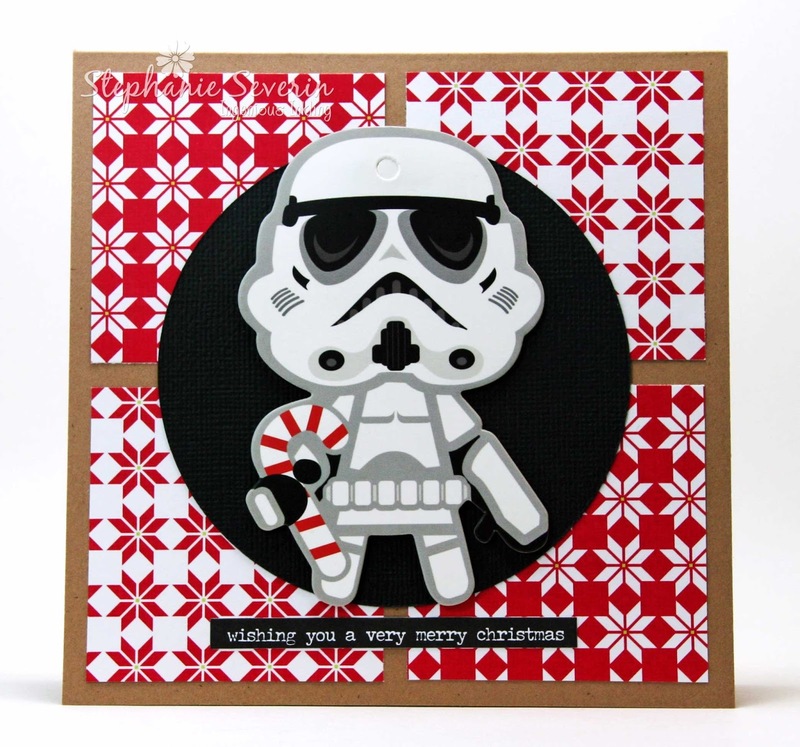 Stephanie says, "I had to go with a creature card this week ... rather than my usual Yeti, I am featuring a Star Wars Storm Trooper gift tag (who has sort-of-a-yeti-feel) coincidentally also using this week's Sketch Saturday layout (we didn't plan ahead, but it's sort of like showing-up at a party in the same Christmas sweater). 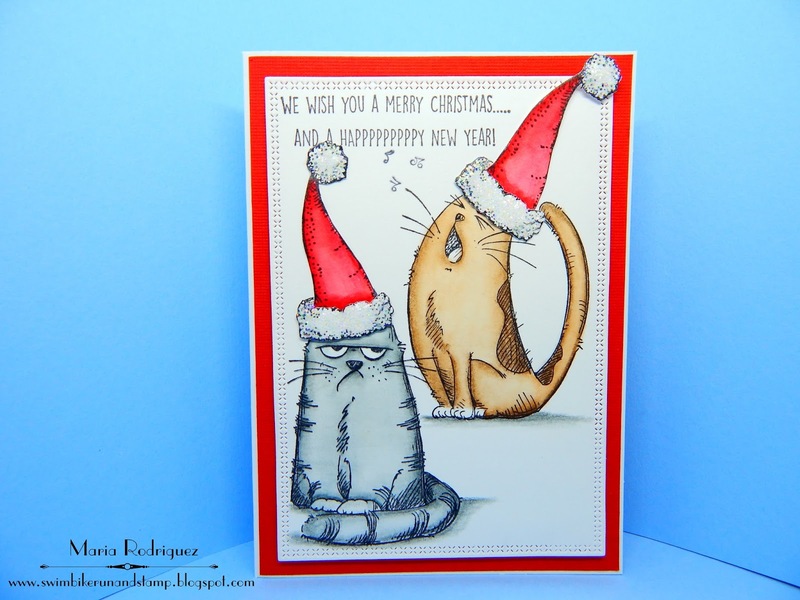 There's a second creature card at my blog if you want to click through."